A thigh lift is performed to tighten the skin around the inner thigh to form a more aesthetically pleasing frame. The outer thigh skin can be tightened with a combination of a upper thigh lift and liposuction. This procedure requires a surgical incision of varying size based on how much skin must be removed. The location of the incision is usually on the medial side of the thigh and can be adjusted based on clothing preference or the overall reduction of visibility. The procedure takes anywhere from one to three hours depending on the severity of the excess and loose skin. After surgery, the patient is dressed in a compression garment to limit swelling. You will be able to remove the garments and shower your first-day post-op. Discomfort is generally minimal in smaller lifts, but when large amounts of skin are removed, medication for discomfort aids in the recovery process. You will be able to ambulate yourself immediately after surgery. Will I have Noticeable Scars after Thigh Lift Surgery? There have been many advances in minimally invasive type scars for medial thighplasty. Patients no longer face the unsightly hockey stick scar, which was traditionally the classic procedure. Dr. Claytor’s approach now allows the scar to be hidden on the inside of the thigh so you can get back to wearing that bikini! Scars maximally fade within six months. Scar massage and selected lotions will aid in minimizing scarring. Combining liposuction at the time of the medial thighplasty allows the wound to be closed under minimal tension with absorbable sutures which results in optimal scarring. Dr. Claytor will discuss this option with you during your initial consultation. When can I resume regular activities? Light activity is normally possible after less than two weeks, while most physical activity is permissible at four to six weeks. What are the risks of the Thighplasty Procedure? The most common complications are aesthetic results that don’t match the patient’s expectations. 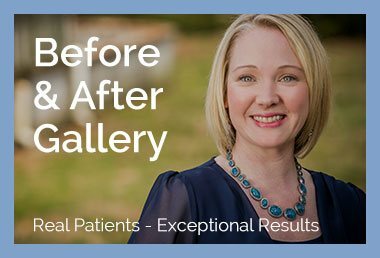 Dr. Claytor will go over your treatment plan during the initial consultation to decide the optimal treatment for you. This may include combining liposuction with your procedure to provide optimal results. It is important to be honest about your medical history during the initial consultation. Poor nutrition and smoking can have an impact on your wound healing. Post-op infection is a risk of any surgery so it is important to follow post-operative hygiene instructions. To learn more about thighplasty and to see if you are a good candidate, call (610) 527-4833 to schedule a consultation with Main Line Top Doctor, Dr. Claytor. Our plastic surgery practice serves patients from Philadelphia, Bryn Mawr, Main Line and surrounding areas.